See more objects with the tag rococo, flowers, dining, drinking, eating. See more objects with the color antiquewhite darksalmon darkgrey indianred slategrey or see all the colors for this object. This is a Drawing. 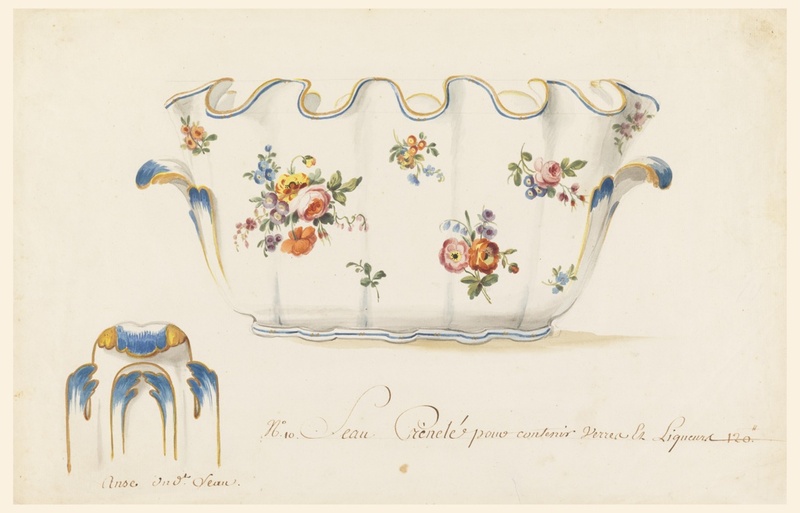 It was company: Sèvres Porcelain Manufactory. 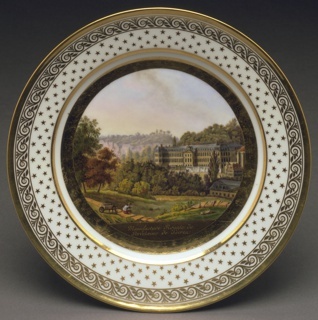 It is dated 1765–75 and we acquired it in 1938. Its medium is pen and brown ink, brush and watercolor on cream laid paper. It is a part of the Drawings, Prints, and Graphic Design department. 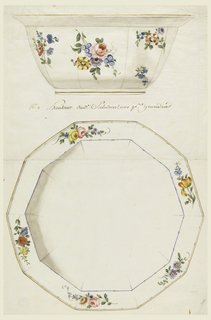 In 18th-century France, tableware became more use-specific. This bowl was designed to chill and rinse stemmed wine glasses. 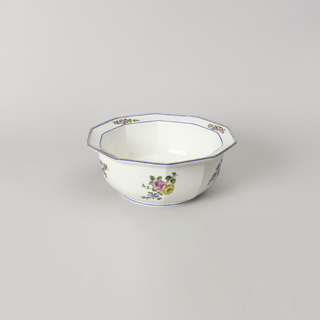 Glasses were inverted in the dish so that their bases rested on the bowl’s indentations and their cups in the water. The elegance of this wine-glass cooler suggests it would have been on prominent display. This object was catalogued by E. Maurice Bloch and Julie Pastor. 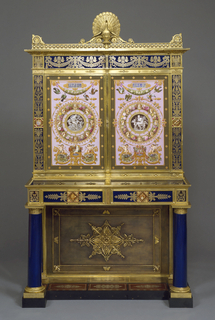 It is credited Museum purchase through gift of various donors and from Eleanor G. Hewitt Fund. Bequest of the Reverend Alfred Duane Pell. 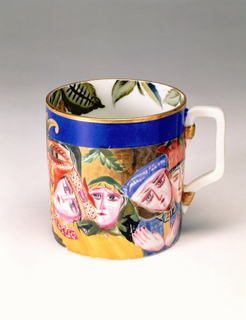 soft-paste porcelain with overglaze enameling and gilding. The John Jay Ide Collection. 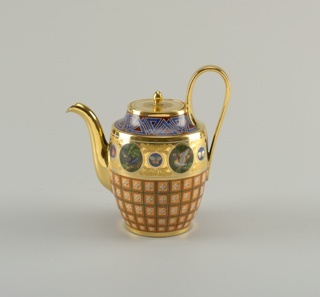 enameled, gilt and glazed hard-paste porcelain. Gift of George B. and Georgiana L. McClellan. brush and black ink, watercolor, black chalk on cream laid paper. Inscribed in pen and brown ink, below image: No 10. Seau Crènelé pour contenir verres et liqueurs 120. "; lower left: Anse du dt Seau.